It’s all been ace up to now. The kids have had a great time, me and Deb have been able to chill out (a bit) and I’ve managed to put some quality riding/training in. As well as some hellish turbo training sessions I had a hard but picturesque ride back from Macc via some big Peak District hills on Boxing Day – the mixture of blue skies, sunshine and snow on the ground turned a straightforward long tempo ride into a memorable afternoon out. 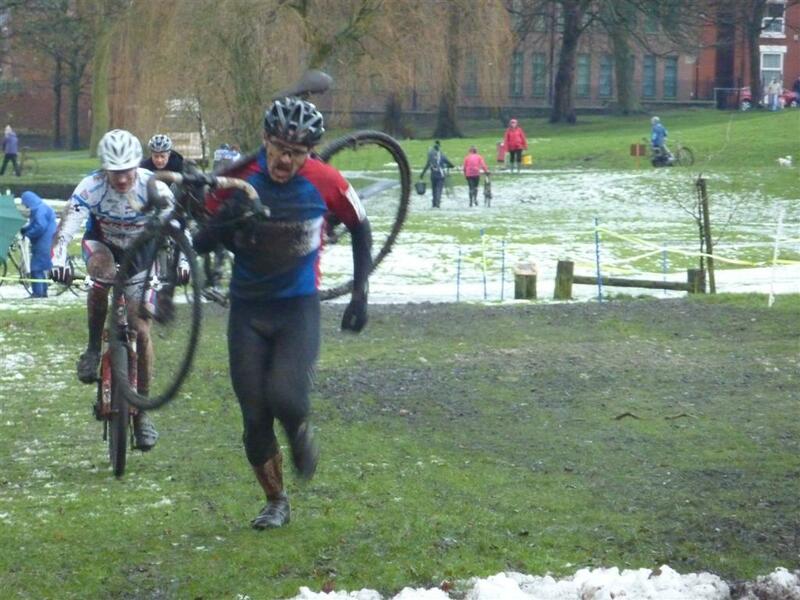 The day after that was the Macclesfield cyclocross race. Back to Macclesfield we went, I got signed in, met up with Budge and got ready for the race. Plenty of time to go. No need to panic. Pin the numbers on….stroll towards the course with Deb…hmmm. Looks like everyone’s ready for the start. Glance at watch. Arrgh! I should be over there RIGHT NOW. After a mad 100 metre sprint to the start of the race I joined the pack, with 10 seconds to go, right at the back. Cursing my stupidity I didn’t bother trying to elbow my way closer to the front as I’d probably cause chaos by doing so at this late stage so I decided to see how many other riders I could get past in the next hour. Rather a lot, as it happens. 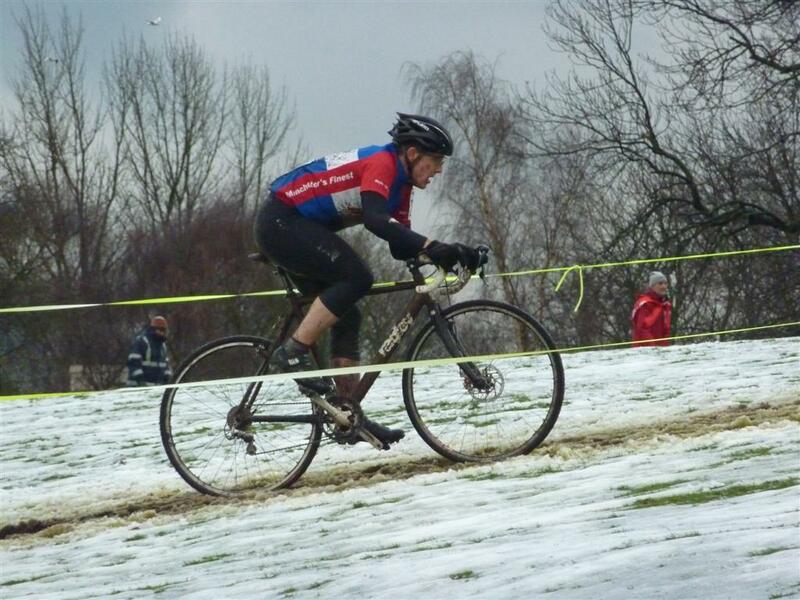 After the shambles of the start I actually started to feel pretty good – the mud wasn’t at all bad either. Granted it was very runny and got everywhere but it wasn’t preventing the wheels from turning – I was ticking other riders off left right and centre. I always lose count of how many laps I’ve done at these things but I do recall seeing Nick Craig fly past me more than twice.